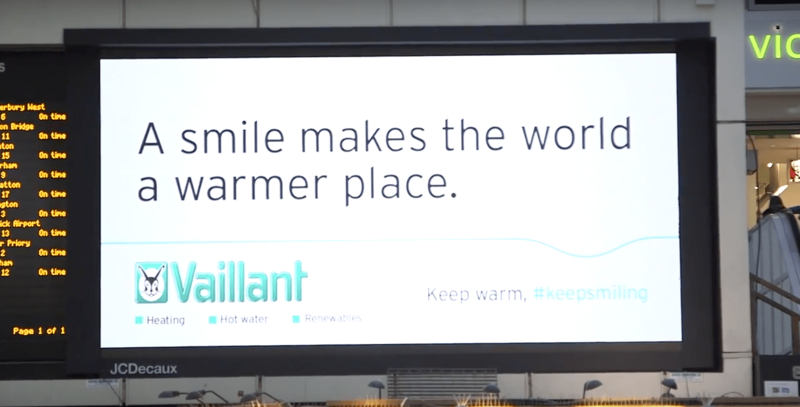 Vaillant helped commuters to #KeepSmiling and warm in train stations throughout the country. Vaillant wanted to help keep people warm and #KeepSmiling. Alongside their coffee dispenser they encourage commuters to tweet about keeping warm and how they #KeepSmiling which were then with commuters in train station throughout the country.